Experience, know-how and competences allow M.W.M. Freni Frizioni to complete a standard production with the study, the design and the implementation of tailor made solutions, too. Among them, also a special electromagnetic toothed clutch demanded by a leader Norwegian manufacturer of fishing boats for North Europe seas. Design and production of brakes, clutches, toothed clutches, torque limiting couplings and cylinder blocks with electromagnetic, pneumatic, hydraulic and mechanical controls. This has been the mission of M.W.M. Freni Frizioni for over half-century, with a sector ranking that allows the company to boast experience, know-how and expertise to satisfy the most different requirements, with both a standard production and tailor made projects. Among the latter, increasingly demanded by the market, also the design and implementation of a clutch for boats. 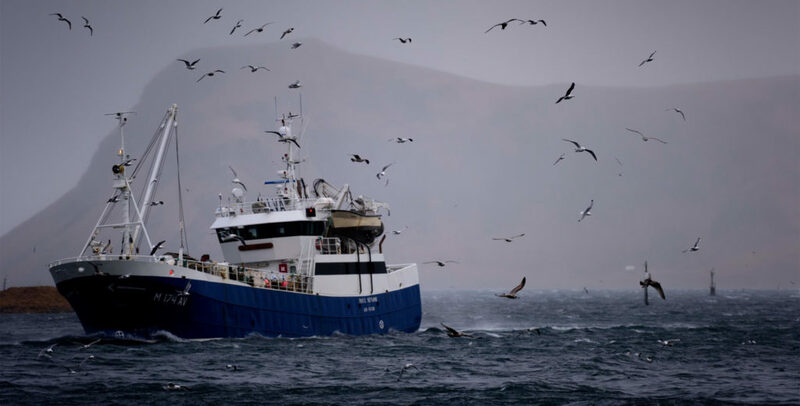 The order has been issued by an outstanding Norwegian company operating in the design and construction of fishing boats for North Seas. Today the hybrid propulsion (diesel-electric) is spreading more than ever also on fishing boats, especially due to reliability advantages that such technology can assure. Then, the boat can easily change from one modality to the other and also travel in protected marine areas, besides entering ports without impacts on the environment. 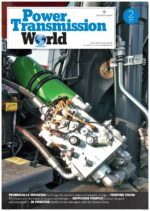 This reason, precisely, has led to the demand for the supply of a special clutch that allowed shifting from the conventional diesel system (normally used) to the possibility of sailing in electric modality. With what requisites? ESBG-N265_Z-S, special toothed clutch installed on the boat described in these pages. «First – explains the general manager of M.W.M. Freni Frizioni, the engineer Walter Sartori – small overall dimensions, considering the noteworthy torque at stake, besides the need of prearranging a special elastic joint, too». M.W.M. engineers have then customized a special electromagnetic toothed clutch. A normally closed safety clutch, of negative type (to avoid overheating caused by the coil power and by the high number of revolutions), with spring pressure, which allows the motion transmission from the diesel engine to the electric motor. 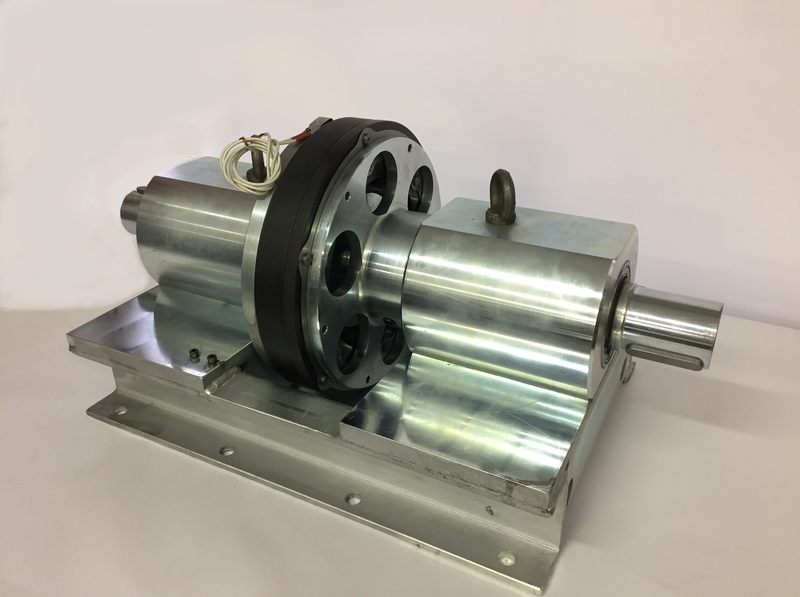 Electric motor that, in its turn, operates as generator to recharge batteries and to power utilities. «Considering the connection of the electric generator with other utilities, too –points out Mr Sartori – we have ideated a toothed clutch because there was no need of opening or closing the clutch itself in motion». Resistant to corrosion (fully protected by chemical 25-micron nickel-plating), the clutch has been made to serve 420 hp diesel engines, with the following main specifications: diameter of 300 mm for a length of 400 mm, 3,200 Nm of transmitted torque for maximum peaks of 2,800 rpm. «Supply – adds Mr Sartori – that has concerned also the study and the construction of a special joint with high vibration damping power and suitable for compensating the slight alignment defects between shafts». In case of malfunction of the diesel engine or if necessary (for instance: when entering ports or in zones where the use of diesel engine drive is prohibited) the clutch is powered at 96 V d.c., to disconnect the traditional motor and to operate the electric motor, so that the boat can sail in full autonomy. The above-described clutch can be started up only with stationary boat. If instead it had been necessary to shift gears in motion, it would have been possible to integrate a double-flux electromagnetic clutch, still designed and produced by M.W.M. The engineer Walter Sartori, owner and general manager of M.W.M. Freni Frizioni. 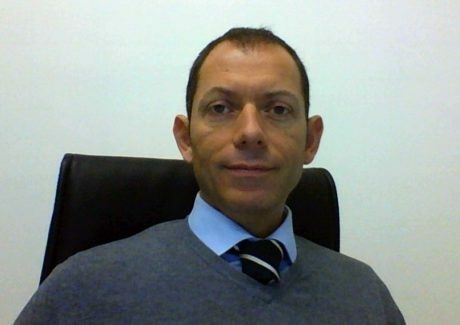 «We have in progress, and also developed in the past – adds Mr Sartori – various supplies for applications of this kind, not only in marine ambit but also for industrial vehicles, mining and mechanical industry in general. Common denominator was the possibility of benefitting from the double magnetic flux that crosses the plate/rotor, in order to exploit twice the force of the magnetic field. This means that, theoretically, the torque doubles with unchanged sizes, in comparison with a conventional electromagnetic clutch». 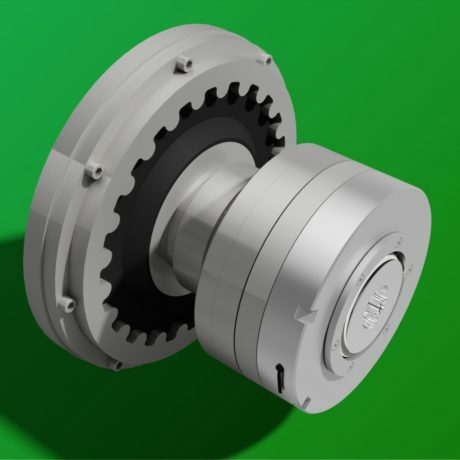 With compact design and low inertia, able to manage a high transmission torque (up to 8,000 Nm) due to the optimization of the magnetic field, these clutches stand out not only for being backlash- and maintenance-free but also for the long duration and the low wear (thanks to the large contact surfaces and the surface-hardening heat treatments on plate and rotor). Silent, for high speeds and with null motoring over torque, these executions assure low residual magnetic field and are available with different supply voltages (standard at 24 V d.c.) and for dry or oil operation (in this case, with slight decrease of the transmissible torque). Kit composed by double-flux electromagnetic clutch installed on supports for bearings and frame fully made by M.W.M., to be ready for installation on power take offs (PTO) of trucks /agricultural vehicles/boats. As already highlighted, the ultra-decennial presence in the sector, the know-how and the competences gained allow M.W.M. Freni Frizioni to satisfy the most different requirements. With the added-value of boasting a real made-in-Italy, coordinating and managing the entire product development cycle through two factories: one dedicated to production, the other to design, assembling and sale of products. Distinguishing trait that confirms not only the higher product reliability but also productive flexibility and the capability of meeting market demands in relatively short times. «With delivery terms of standard products – specifies Mr Sartori – within 10 working days since the order». Differentiating, as witnessed by the successful case illustrated in these pages, is also the company’s capability of collaborating with customers as problem solver to identify the best solution. «Our technical office – ends Mr Sartori – can support customers with calculations, sizing and simulations of any type. Besides estimates of product wear, at the residual service lifetime. With very fast engineering and prototyping times, besides assuring the highest rapidity for the manufacturing part». A wide panel of customers, operating in the most various industrial sectors, benefits from that: manufacturing industry (textile, mechanical, metallurgical, entertainment, converting, packaging etc. ), entertainment industry, energy industry (especially renewable energies). With a growing export (today amounting to 25% of the turnover), prevailingly oriented to Germany, Switzerland, USA, Great Britain, France, Spain, Poland, Finland, Austria and South Africa.